At Law Office of Robert W. Fong, Bankruptcy is all we do. Your case will be handled by an experienced Bankruptcy lawyers from start to finish. Unlike large firms, we will not assign you a case manager and your case will not be prepared by non-lawyers. We are a 2 attorney firm, and one lawyer will analyze and prepare your case from beginning to end. We do not handle a large amount of cases per month, thus we can spend the time necessary to insure a thorough job of analyzing your particular issues and potential problem areas in your Bankruptcy case. You will have direct contact with your attorney during the entire process. We will personally represent you at your court hearing. Not everyone qualifies for Bankruptcy, but it can be a complete solution for your financial problems if you do qualify. Qualifying for bankruptcy is not necessarily a black and white issue. An experienced attorney can pinpoint specific facts about your situation that can help you to qualify for bankruptcy even if you think you make too much money. Sometimes a Chapter 7 is the solution, while other times a Chapter 13 repayment plan can be more beneficial. There are certain things you should not do before you file bankruptcy. An experienced attorney can answer all of your questions regarding what you can and cannot do before filing for bankruptcy during a free consultation. For example, you cannot give your cars away to friends or relatives prior to filing your case. If you are receiving harassing phone calls, you can refer the collector to your bankruptcy attorney after we are retained. They will verify our representation and generally the calls will stop. Once we file your case there is an automatic stay in place which makes it illegal for any creditor to try and collect a debt from you. Bankruptcy can also help you regarding lawsuits filed against you and wage garnishments. Some things that are not dischargeable are; most student loans, government taxes (less than 3 years old), criminal fines, and alimony and child support. You are required to list ALL of your assets and debts. However you can usually keep your house and cars as long as you can make the payments. Generally, a bankruptcy can exempt most or all of your assets so that you can keep everything. This includes household items, cars, and retirement accounts. 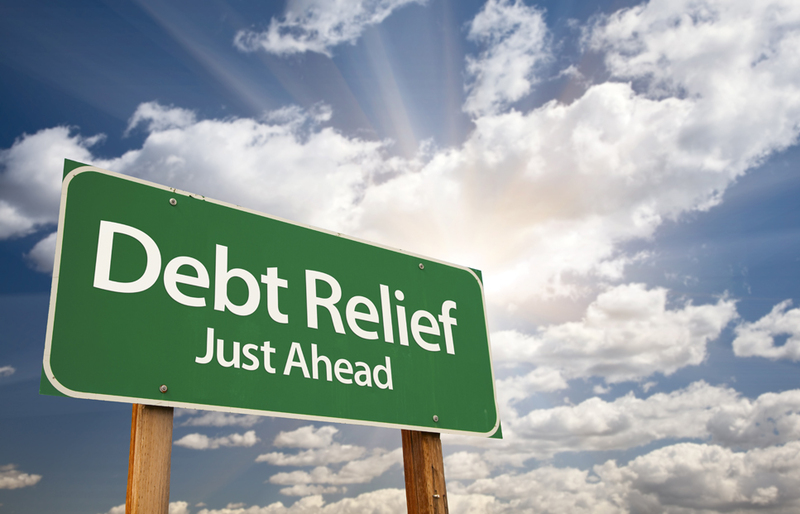 Debt consolidation often times does not work for many people. It can be a temporary solution that can take many years to resolve itself. Many people come to us after trying debt consolidation and spending thousands of dollars just to find out that they still owe most of their debt. A Chapter 7 Bankruptcy can be completed in as little as 3 ½ months. A Bankruptcy can be on your credit report for 7-10 years, but you can rebuild your credit usually within 2-3 years if you have decent income and you pay your obligations on time after bankruptcy. After your debts are discharged, your debt to income ratio improves dramatically. We will not try and talk you into doing a Bankruptcy. We will merely set forth your options and let you decide in your own time without any pressure. Every case is different, and there are situations where Bankruptcy is not the answer. Take the time and book an appointment for a free consultation. You will sleep better knowing your rights and responsibilities under the Bankruptcy laws. Bankruptcy is your constitutional right. 1) People who file for bankruptcy are financially irresponsible. This myth is true in some cases, but more often than not, this belief is false. Most people file for bankruptcy or consider filing because of three man reasons: loss of employment, suffering from a serious medical condition, or going through a divorce. According to the Bureau of Labor Statistics, as of April 2012, more than 5.2 million Americans had been unemployed for at least six months. This is caused by economic woes, not by the individual and these statistics show us that. Further, a 2011 survey conducted by the Center For Disease Control, found that 20 percent of Americans had difficulty paying their medical expenses. Is it really the individual’s fault that hospitals can charge an individual any rate they please for medical help? We don’t think so. And others shouldn’t either. Lastly, the expense of divorce and having the obligation to pay the cost of maintaining two households instead of one has significantly strained many individuals causing many to file for bankruptcy. These are real life problems in which the debtor is not the sole enabler. 2) If you go on a spending binge before you file for bankruptcy, you will not have to repay your debt. This belief is false. The courts have established that spending extravagantly right before the debtor files and expecting the debt to vanish is an expectation that will not transpire. The courts have ruled and consider this action fraud. The debt that is accumulated s a result of fraud will not vanish. If you believe that it will, you are wrong. 3) Bankruptcy permanently destroys credit. This myth is false in its totality. You can begin rebuilding your credit right away by opening secured credit cards and proving that you are financially responsible by making on-time monthly payments. Once you have succeeded at this, you will be provided the opportunity to open a regular credit card within one year. 4) If you are married both you are your spouse have to file for bankruptcy. This belief is false. If your spouse and you don’t have joint debt i.e. your spouse wasn’t a co-signer, your filing will have no direct impact on your spouses credit. In cases where both of you have a substantial amount of debt however, it’s sensible for the both of you to consider filing because it saves money when both partners file together. 5) There is a minimum amount of debt that is required to file for bankruptcy. This belief is invalid. The only requirement is that you are unable to pay the accumulated debt with your current income. This is no minimum amount of monies borrowed. If you are having financial hardship and are considering filling for bankruptcy, please call a bankruptcy attorney at our office at (916) 971-8880 for a FREE confidential bankruptcy consultation.